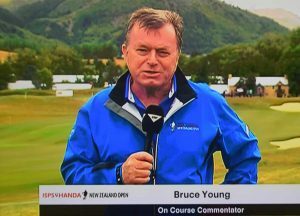 Bruce Young has established himself as one of Australia’s leading golf journalists and analysts. 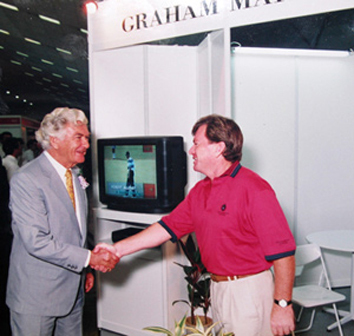 Since leaving a marketing role in the golf course design company of highly regarded Australian golfer Graham Marsh in 1999, Bruce has created a portfolio of golf related work in internet, print, radio and television commentary and has recently branched out into hosting lunches and other MC related activities. 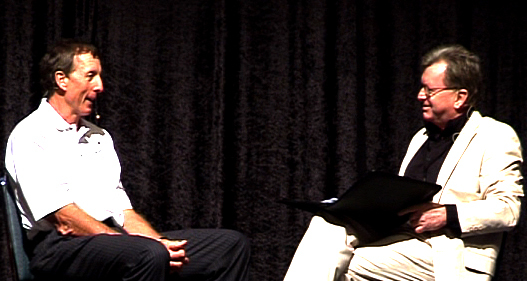 Born and raised in New Zealand, Bruce began playing golf as a 12 year old in Dunedin and although reasonably proficient at the game, he soon realised there were limitations on his capabilities and that golf also offered opportunities outside of the playing of the game and he set about pursuing them. 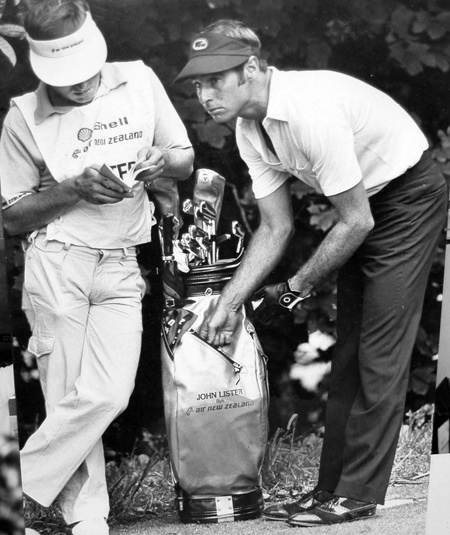 In 1970 as a 17 year old he caddied in his first professional tournament and soon caught the bug. He initially caddied for family friend John Lister and with Lister he enjoyed the thrill of winning ten tournaments in New Zealand during an era when professional tournament golf there was at its peak. A chance opportunity to caddy for Japanese star Masashi (Jumbo) Ozaki in the 1972 New Zealand PGA Championship would give Bruce his first winning experience as a caddy and kindled in him a desire to pursue caddying beyond the shores of his own country. He travelled to Australia for a few events in 1972 and then in 1973, at the age of 19, headed for Europe where he would become one of the very first from Australasia to caddy in a professional capacity. “I was originally going to work for Jack Newton but received notice from Jack a few weeks before I left for Europe that his father was heading over to carry the bag for him and he suggested that I might like to work for his fellow Australian, Bob Shearer,” said Bruce. 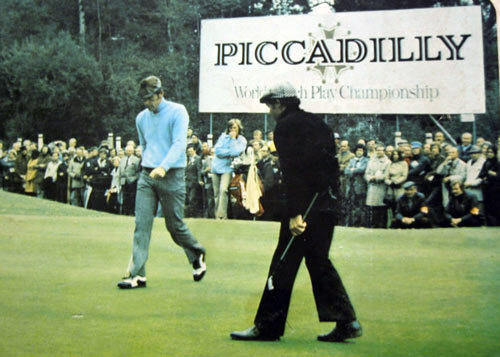 “I worked for Bob in European Tour events for the next season and a half, but late in 1973 was fortunate to secure the bag of Graham Marsh at the then Piccadilly World Match Play (see videos)”. It was an opportunity that would change Bruce’s life. That turned out to be a good decision as after several early season events with Shearer, Bruce caddied for New Zealanders Bob Charles and Simon Owen in consecutive weeks when they won the 1974 Swiss and German Opens respectively. 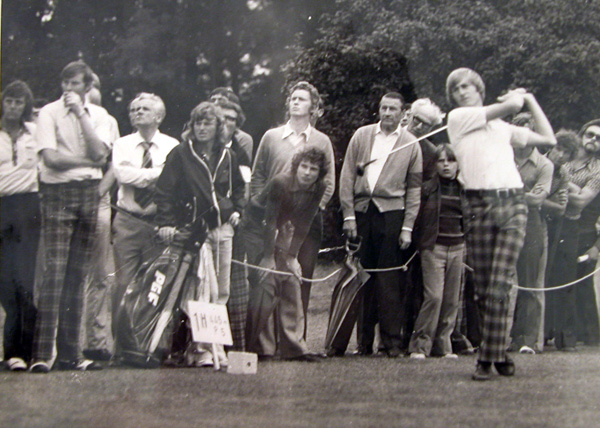 Bruce again returned to Europe in 1975 and caddied for Graham Marsh whenever he came to Europe from Japan and for Simon Owen in the interim but by the end of 1975 he had had enough. “The purses in that era were not what they are today and whilst I was enjoying it I felt I needed to consider employment in the ‘real world’ so to speak. That only lasted a couple of years and even then I kept caddying during the summer in Australia and New Zealand. 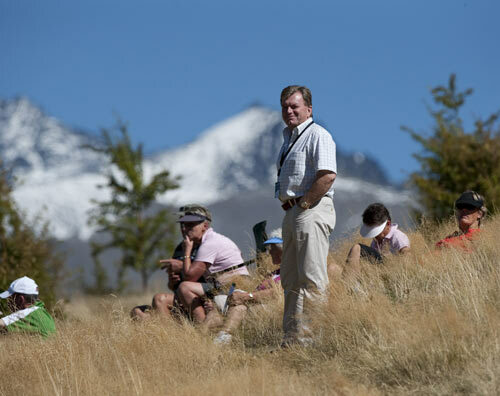 Bruce worked in New Zealand until 1986, caddying the occasional event over the summer months in New Zealand including for Graham Marsh again when he won the New Zealand PGA title in 1983. “We had a great time in Japan, travelling regularly from Perth where I had based myself. Graham won twice in Japan in the eighteen months I had in that role and it also allowed me to get a better understanding of the design industry.” In all Bruce caddied for the winners of seventeen 72 hole events during his time caddying. Those winners were John Lister, Graham Marsh, Simon Owen, Bob Charles, Jumbo Ozaki and American Jim Colbert. During Bruce’s time in the role in Marsh’s company, he took leave to caddy for him in five events on the then US Seniors Tour including the 1994 US Senior Open at Pinehurst in which Marsh lost by one shot after a bogey at the final hole. In 2001 Bruce was approached by two keen Brisbane golfers who were determined to create a golfing website that would establish itself as a leader in that area of the market at a time when the internet was in relative infancy. 15 years later iseekgolf is the one of the leading golf only websites in Australasia and likely the southern hemisphere and has a significant audience worldwide. In addition to his role as a contributor to iseekgolf, Bruce’s work now includes providing golf related segments for the Sports shows of the Radio TAB Network and for radio in New Zealand, writing for the websites of Peter Lonard and Brendan Jones, providing weekly video analysis for Golf Link writing monthly articles for several golf magazines in Australia and New Zealand, writing form guides for New Zealand TAB on the Major Championships, providing golf analysis for Sky News Channel and media consultancy for several golf tournaments. Bruce has also continued his involvement in television commentary, having worked on co sanctioned European Tour events for European Tour Productions on their coverage of events such as the Australian Masters, the New Zealand Open and the Johnnie Walker Classic. He has also performed voice over work for Tier Two Australasian Tour events shown for the web and on Fox Sports and Channel 10 (see video page) and during the last five years in a role as on course commentator at the Asia-Pacific Amateur Championship along with Bill Macatee, Frank Nobilo and Dottie Pepper. Bruce has added a new string to his bow of late by branching out into MC work. Not only has he hosted several lunches and golf related functions, but has facilitated panel discussions and hosted conferences for the Australian Golf Industry Council and the PGA of Australia, played host at Golf Shootouts at Emerald Lakes and Virginia Golf Clubs in Queensland and hosted tournament launches and prize-giving ceremonies at the Queensland PGA and the Queensland Open. 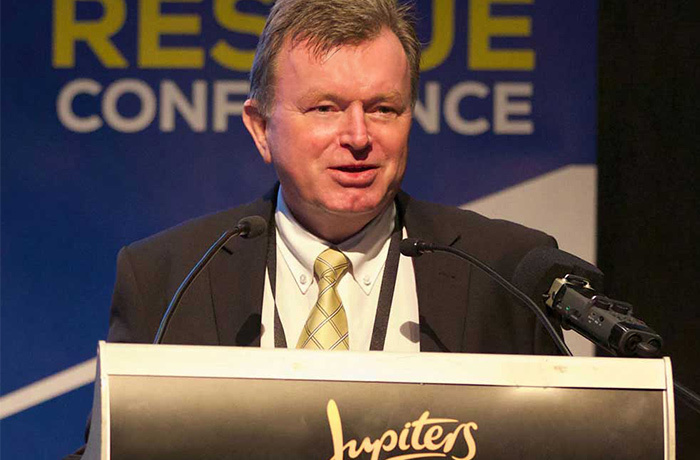 Bruce was also MC at the 2009 Queensland Mining Industry’s Health and Safety Conference in Townsville and in 2010 was MC at the Asia Pacific Srixon PGA Coaching Summit at Royal Pines on the Gold Coast where David Leadbetter was the keynote presenter. Bruce was also the MC/Facilitator at the Asia Pacific Srixon Coaching Summit in 2012 and was again in that same role in 2014.